When I was in grade school, I received a star on my paper if I did my work well. I don't know if teachers still do that but here's a teacher who chose to give out stars for another reason. Middle schoolers with the last names beginnng L -Z were given yellow stars of David and designated as "Jews for the day". They were forbidden from drinking from the fountains, forced to the back of the lunch line, and treated as outcasts by their classmates. This simulation exercise upset both the children and their parents. The teacher was teaching on the Holocaust and wanted to give the children a lesson in "tolerance". Meanwhile, Arizona high school students are apparently not understanding "tolerance" very well. A Mexican flag was burned by six students after it was allegedly flown higher than the American flag. Additional police were called to the campus to monitor the students. 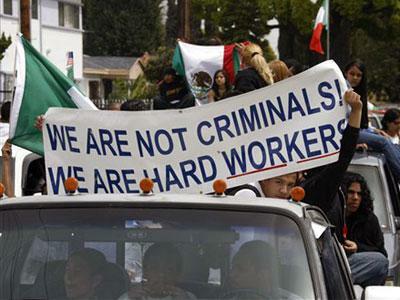 Tensions are high over the immigration reform proposed by Congress. But the students think it might not just be just from this week's events. Freshman Chelsea Garcia, 15, and junior Brittany Ramage, 16, said the unrest had more to do with long-running racial tensions at the school. The week's events might have sparked some anger, Ramage said, "but kids aren't too deep about that stuff." What lessons in tolerance are going to solve these tensions? I posted a few days ago my quick answer when people comment about not being able to stay home with their children. A few readers wanted to know if I had any other quick replies to the comments or questions we are asked. I wrote a post last year but I know most people don't read the archives so I'll repost it here. Don't you know what causes this? I can't afford to have that many children. They are my social security. And you'd better treat them well, they are yours too! What do you have to do to homeschool? Have a baby. Then with a wink I add, it gets dad involved right from the start. Do you make your kids take tests? Only if they have strep. In the grocery store, someone said, "No school today?" Yes, school's in session and you're their teacher, so look smart. Because I don't want my life centered around my children's education. Do you ever want to go to public school? No they don't have a refridgerator. School is life and life is school you never stop learning. If you have any answers you'd like to share, I'd love to hear them. Why is it when people think of one parent staying home with their children, they always assume the mother will? Fathers are certainly capable of loving and nurturing their children. And children would surely benefit from spending time with both of their parents, not just their mothers. Luckily, my husband and I both have the option of flexible schedules and plan on both spending time homeschooling our children. I have nothing against work from home dads nor dads homeschooling. My husband is among them. However, stay at home dads while the wife works is a whole different matter all together. As a Christian, I follow the teachings from scripture that call woman to be a "keeper of the home". That includes teaching and training the children. This doesn't absolve the father of responsibilities in the home and with the children. However, his taking on an active role doesn't give me permission to leave my duties on a regular basis and let him do it. As a wife and mother, I don't want my duties conflcted by responsibilitites outside the home. My career was taking up more and more of my time and I had less time to focus on being his wife. I realized that if it came down to a choice between my husband needing me at home on a given day and my boss needing me at work I would probably choose the job over my husband. After all I reasoned, Steve's a grown man. He can take care of himself. But the tug was still there despite my best efforts to pretend otherwise. I needed to put my marriage ahead of my career even before I had a child to care for. I discussed with Steve my decision to leave my career behind and he was very supportive. We had previously decided that I would work until we had children. This change would mean a substantial loss of income. But he told me to do what God was leading me to do. So one Monday morning, I went into my boss's office and put in my notice. He was stunned. He questioned why I would leave such a lucrative job and the beginnings of a great career just to be a help mate to my husband. I didn't expect him to uunderstand but his bewilderment was slightly unsettling. He tried to convince me to stay. I felt somewhat doubtful myself to be honest. This did seem kind of foolish. But in the end I knew that I had to "choose home" and trust where God desired me to be. So I held firm and told him I couldn't be persuaded to stay. A few hours later, my boss came over to my desk. He asked if I could please watch the office for a little while. He seemed kind of agitated. I asked if everything was okay with their new little baby girl. He said yes she was fine but that the babysitter didn't show up and his wife needed to go to work. She needed him to come and watch the baby and find a replacement. As the words were leaving his lips, his face showed a new understanding of my decision. He realized I was choosing to go home to support my husband while his wife was choosing to leave. He got it and I never had to explain my convictions to him again. I had chosen to be home, where a wife needs to be.As for my boss, I found out years later that he and his wife were divorced. For some reason that didn't surprise me. I believe the family suffers when a wife is divided in her duties. Others are free to disagree but if you decide to comment and express your outrage at my "ancient" ways please be civil about it. Due to taking last weekend off, I completely missed submitting something to the Carnival of Homeschooling. I did however make my way over there to read many of the entries. The Carnival is being hosted by Why Homeschooling. The Education Carnival is being hosted by Right Wing Nation. I did manage to get a post in there but just barely before the buzzer. Sherry at Semicolon pointed me to this article. Too many book, too little space. That's definitely a problem around my house. We have six book cases in the room I am sitting in right now. Each is six feet tall. And it's going to get worse. My dad is a book collector. He doesn't read most of them. He just collects them. He keeps threatening to will them all to me. I love you dad, but 1000 books on how to be a financial success is not my idea of an inheritance. While I'm on the subject of books, remember my post on the Crunchy Cons. Well, I just received the book Crunchy Cons from the library. Spunky Jr. has already read it. She said, he's a bit goofy but with a seriously organic side. I'm not sure what she means. But she was laughing when she said it. I'll be reading it soon. Thanks to At a Hen's Place for encouraging me to read it. One more book of note before I go. If you haven't picked up Barbara Curtis's book Dear Lord Meet Me in the Laundry Room. You should. Although Barbara and I come from totally different backgrounds there is a common joy shared in finding God in the everyday happening of our day. Barbara's book testifies to the truth that God's mercies are new every morning. "I'd love to stay home with my chldren. I just can't afford it." I hear the comment all the time from working mothers. My usual response is, "I can't afford not to." I am willing to only have one car, live in a modest three bedroom house, and go without many things so I can be home with my children. Apparently, I'm not the only one who feels the sacrifice is worth it. Author and blogger Leslie Morgan Steiner of the Washington Post had the opportunity to speak to her son's third grade class about writing. Currently , Ms. Steiner is writing a book on motherhood, so the topic of conversation turned to what the children thought about their moms working outside the home. Here's a few quotes from the children:"
Wednesday is the only day my mom can pick me up. I dream about Wednesday all week." "My mom used to go to Africa like, 20 times a year. Now she is home all the time and every day I am surprised to see her in the kitchen when I wake up. I think all moms should stay home with their children. While this is just anecdotal evidence, I'm willing to bet most children would say something similar. Parents are working so hard to to provide their children all of the latest material possessions but clearly the one that money can't buy is time. My response to Leslie's post is "so what?" Children, wonderful as they are, are basically big bundles of Id. They'd probably also prefer to eat pizza and cheetos for dinner every night, given the choice. Why should the fact that kids would probably prefer to have one or both parents at home full-time mean, as Leslie implies, mean that parents who choose otherwise are putting their own needs ahead of their children's? We spend our entire lives as parents trying to moderate what the kids want against what's best for them. Why should we forget that just because the SAH/WOH issue is emotionally fraught. Sure, Jr. might resent in the short term that he doesn't have a cookie-baking June Cleaver of his own at home, but if the mom would be bored or unhappy without working for income, then would he really be better off? My answer would boldy be YES. But this isn't about what the child wants or even what the parent wants. The problem is absent a biblical standard, that is what this argument is reduced to. It becomes a subjective game of what's best for one at the expense of another. Personal happiness trumps personal sacrifice. An honest analysis is impossible because their is no longer a common standard. And anyone daring to say mothers belong home with their chilren is seen as judgemental or, if you're a child, a "bundle of Id". I have never met anyone who, later in life, would say they wished they spent more time working. But I have met some, who said they wished they had spent more time with their children especially when they were young. Years ago, I heard a radio interview with a couple whose daughter had committed suicide in her teen years. They recalled that they were too busy to see many of the warning signs that their daughter displayed. She wrote a suicide note before she died. It said, "Mom and Dad, you've given me everything to live life with, but nothing to live life for." And for me that means choosing home. I admit ignorance on most of the immigration issues facing our country. However, the student protest in LA yesterday caught my attention. Thousands of students took to the streets in protest of the new immigration law in Congress. The school district wasn't too pleased. LAUSD school board member David Tokofsky said as many as 21 campuses took part in the protest, and that the district was ready to provide buses to take the students back to their schools. "There's always a tender balance between the learning that happens in text books and the learning that happens from experience, especially with government issues," Tokofsky said as he watched the students gathered at City Hall. "I know that the children are very concerned about their parents and grandparents and how this law might affect them, but I would much rather have the kids sitting in a classroom, reading about how a bill becomes a law." I'm sure he would. But it seems to me these kids have learned the process quite well on their own. It's articles like this one that make me so glad my high schoolers are home. The anxiety facing today's high schoolers is enormous. Supposedly eleventh grade is the worst. Amanda Goehring's junior year in high school was, others of her age group would nsist, pretty typical. It began with a horrible band camp. Then she broke up with her boyfriend of two years and had to deal with a backpack-bursting schedule, including in Advanced Placement physics course she did not understand, Japanese National Honor Society, Japan Bowl team, Astronomy Club, Girl Scouts, volunteering at the public library and hosting a foreign exchange student. "I remember being really depressed most of the year," said Goehring, who has since graduated. "I didn't eat and I slept excessively when I wasn't working." There are more than 3.6 million high school juniors in the United States, about two-thirds of whom plan to go to college. It is that daunting life change, less than two years away, that becomes the focus of their obsession. College preparatory courses, college applications, college-motivated extracurricular activities and college entrance tests such as the SAT or the ACT are the favorite topics of anguished 11th-grade conversations. "It seems like each bad grade on a test will change your grade, GPA, what college you go to and your entire life," said Lauren Hunt, a junior at McLean High School. That sense of confusion is shared by nearly all 11th-graders, even those not going to college, educators say. That's because the students are caught in the hormonal grip of adolescence, contending with physiological and emotional changes that make it a particularly perilous year. "They are not good at processing risks," said Denise Clark Pope, a lecturer at Stanford University's education school and the author of "Doing School: How We Are Creating a Generation of Stressed-Out, Materialistic and Miseducated Students." Now I'm not saying we don't have our stressful days. But what that young lady described is not my eleventh grade daughter's life at all. I don't see a tremendous amount of over all anxiety in her. We are truly enjoying this year. She is keeping up with her work and absolutely loves the online e-zine Regenerate Our Culture that she helped get going. Her future plans aren't certain but we're trusting that God will lead us in that step as He has in throughout this whole homeschool experience. Our desire is to finish strong but not become anxious in what is ahead even if it may not be totally clear yet. I'm not going to let external demands ruin our family life and the remaining years we have with our daughter. Is this unique to us? Or are others with home schooled high schoolers experiencing the same thing? Want to be an African Missionary? Guess what? You don't have to go to Africa to be an "African missionary" anymore. In fact, you can be a missionary by staying right at home in America. Africa, specifically Nigeria, is sending missionaries here - to America. We didn't bring this church to the United States to be another Nigerian church," said Ajibike Akinkoye, chief executive of Dove Media, in an interview in his Irving office. "We are afraid with the way things are going in the world and in America - allowing people to do what they like, creating their own religion and philosophy - those people are going to pay for it. We don't want that to happen." The United States, with its ever-expanding megachurches, influential evangelists and deep religiosity, seems an unlikely mission ground. But the Redeemed Church believes Christianity here has become a lifestyle, not a transforming way of life, and they feel obliged to rescue the people who brought them the faith in the first place. "There is a vibrancy in Africa," Akinkoye said. "We are offering that gift back to America. Welcome to America! The land of the free and fast becoming the home of the depraved. We'll take all the help we can get. I believe that most children are born with a curiosity and desire to learn. In the beginning it is rudimentary but as they mature so does their desire to learn. Uness, of course, it's discouraged and killed by those who want to fit the child into a mold they were never intended to fit into. When a desired outcome becomes the most important goal, the child and his love for learning suffer terribly. Consider the idiocy of forcing a 13 year old to spend his school day just learning to read and do math and fobidden to take any other subjects. According to a NY Times some schools are are leaving subjects certain subjects behind to focus on math and reading. About 125 of the school's lowest-performing students are barred from taking anything except math, reading and gym, a measure that Samuel Harris, a former lieutenant colonel in the Army who is the school's principal, said was draconian but necessary. At one district cited, the Bayonne City Schools in New Jersey, low-performing ninth raders will be barred from taking Spanish, music or any other elective next fall so hey can take extra periods of math and reading, said Ellen O'Connor, an assistant superintendent. "We're using that as a motivation," Dr. O'Connor said. "We're hoping they'll concentrate on their math and reading so they can again participate in some course they love." The analogy used by one professor is very appropriate, "That's like a violin student who's only permitted to play scales, nothing else, day after day, scales, scales, scales. They'd lose their zest for music." The drastic measure is being taken for schools that fail to meet the "adequate yearly progress" requirement of No Child Left Behind. A federal prescribed "outcome" is forcing schools to dumb down these children and kill their love for learning. If it wasn't clear before it is becoming crystal clear, measures like this will keep low performing kids behind for good. While they may become "proficient" in reading, they will be so far behind their peers in other areas that catching up will be impossible. With the trend toward choosing a career by the ninth grade these students will be locked into a track that will keep them behind for good with no hope of catching up. "I don't like history or science anyway," Rubén said. But a moment later, perhaps recalling something exciting he had heard about lab science, he sounded ambivalent. "It'd be fun to dissect something," he said. He obviously has a spark of desire left. I hope someone gets a hold of that before its too late and he loses his love of learning for good. As of yesterday afternoon, I have resigned my position as contributing writer and independent contractor at The Old Schoolhouse Magazine. My final online featured blogger post will be next Friday and my final print article will appear in the summer '06 issue. I have enjoyed my work with The Old Schoolhouse Magazine and HomeschoolBlogger over the past year and appreciate my readers' encouragement and support. I am eager to continue homeschooling my children, blogging at SpunkyHomeschool, and whatever else God may have in store. Update Sat. AM: Congratulations to Nancy Carter. She is taking over my duties at The Old Schoolhouse. As for me, I'm spending the rest of the weekend away from my desk. Instead, I'm going to take my husband up on his offer of a Starbuck's (see comments) and go play outside with my kids. It's the first time it's snowed here since mid Decemeber. So much for an early spring. His mom admits home-schooling is a full- time job. Don't these women have lives? I understand getting on him, but picking on his mother? Come on. What possibly can a poor woman without a real job or a life of her own teach her son that would be such a threat to the liberal left? Update: Thanks to commentor Ken C. we are being told that Mr. Domenech is being suspected of plagarism for some of his past writing. Michelle Malkin provides the details. It's not clear whether the allegation is true. RedState is providing their perpsective here. This is an excellent example of connecting the workforce system's demand side with the education system's supply side, said Curtis Austin, President of Workforce Florida, Inc. "The result is a winning proposition for businesses who need access to a highly qualified workforce." The law of supply and demand with your child as the resource. This may be a winning proposition for business but what about the children? Oh, that's right they're a workforce now.This development should concern anyone no matter how they educate their children. Socialism teaches its citizens to expect everything, even if they contribute nothing. Socialism teaches its citizens that they have a plethora of rights and few corresponding obligations -- except to be taxed. Under socialism, one is not only liberated from having to take care of oneself; one is also liberated from having to take care of others. The state will take care of me and of everybody else. Governor Bush's "Ready to Work" initiative is one more step in our country's decline toward socialism. We now have the state and its agents in the schools involving themselves in "helping" our children decide what they want to be when they grow up. And not only that force them to decide by the ninth grade! It is none of the state's business what my child or any child wants to be when they grow up. They don't need to know nor should children be forced to tell them. This is social engineering with the goal of tailoring the children toward the needs of the state. The whole goal of education from the state's perpsective is to get a job to compete in the global economy. Parents is that why you educate your children? If not then why are your children in their schools? You'll have to click over to read the long list of things they are doing. I'm going to have to remember this list and keep it handy for when I'm a Grandma. I must add that my parents and in-laws are very similar to Julie's. I think I owe them a call to let them know how much they're appreciated. There were some that found my post yesterday They Admit It a little irritating. How dare I claim that the state's goal is the breakdown of the family. Well, consider the plight of this poor mother. All she wants to volunteer in her son's class but first she must submit to fingerprinting and a criminal background by the Department of Justice and the FBI! [I] want to be in my own son's classroom, to see how it functions, and who the children are who are going to school with him. Instinctively, I also have some issues with handing over a set of my fingerprints to the FBI. There's this little thing called the Fourth Amendment, and there is no justifiable reason to take my fingerprints, much less at my cost and inconvenience. It strikes me as really odd that the same moms who were complaining about federal wiretaps of suspected terrorists are perfectly happy to give their fingerprints to the same federal organization just so they can punch lap cards at the spring walk-a-thon. The expense is paid out of the parent's pocket by by cashiers check or money order. No cash allowed. The tale continued even after she found out that state law regarding background checks didn't apply to volunteer parents. So what's she going to do about it? I did write a strongly worded letter to the district superintendent and the school board president, but I don't have high hopes of them paying attention to it. I'm just opting out of my son's school life, and I'm afraid a lot of other parents will, too. Another "Queen Bee" morphs into an drone as the state successfully puts another parent back in their place: Outside Class. How do you learn to homeschool? Because of Henry Cate's kind words and encouragement I will occassionally post a "Dear Spunky". This will feature questions that come into my inbox from friends and readers. Here's a letter I received the other day. My husband and I were both homeschooled, and we are expecting ourfirst baby in October. We plan to homeschool our children. We had acouple over for dinner this week who has two kids - 2 1/2 and 8months. They mentioned looking into the price of preschool for the 21/2 year old. The school they're looking at costs $5,000 for a three mornings a week program!!! I asked her if they had considered homeschooling instead. At first they said, "Oh, we could never dothat!" but as my husband and I shared our experience withhomeschooling, the wife looked more interested. Then she asked me aquestion I've never heard before - "How do you learn to homeschool?" I've never thought of it that way! Growing up in the homeschool community, I assumed you just bought your curriculum and went for it! How would you answer a question like that? I can tell someone athousand reasons WHY they should homeschool, but I don't know what totell someone about HOW to learn how to do it. Can you recommend a good starting book I could give her? How did YOU learn to homeschool? First off, let me say how much I enjoy the zeal of a new homeschooler. As much as you may stand in wonder at a "veteran" I am inspired and motivated by the energy and enthusiasm of new parents ready to begin this journey. Learning to homeschool is similar to learning to parent. Where do you go to learn how to do it? The writer of this note is fortunate she grew up around homeschooling. Most of us are first generation homeschoolers. We don't have a previous role model in the home to learn from. So what do you do? The temptation is to run to a bunch of books and conventions, etc. I know I did. But I wish I had taken one additional step before launching into "other opinions". That is read "God's Opinion" on education. Study what the bible says about wisdom, knowledge, the wise, and the fool. Learn the characteristics of each. Learn from God's word what it means to be a family and how we are to relate to one another. Pray that the Lord guides your mind and heart to be attentive to His particualar leading in your family. After all they are HIS children on loan to us. It is best to seek the owner's manual first before consulting other "how to" manuals. Then after you have an understanding of what God sees as "successful" go ahead and investigate other resources. Talk to others who are a just beginning and those that are further along in homeschooling. One word of caution, homeschoolers become very attached to their method or curriculum. We tend to believe that because this is the best for us, it is the best for everybody. So when you read and listen, use discerment. Don't feel like you have to use something just because that's the popular method right now. That's the beauty of homeschooling. Enjoy each other's different approaches and how God leads each one differently. Also, don't expect to have it all figured out in one weekend or even one year. Given family circumstances and the temperment of different children our approach and curriculum may change. Don't force a curriculum simply because you've spent the money. Expect that you'll make a few lousy purchases and move on. I wrote a post on choosing curriculum that you may find helpful. I won't repost it here but you may also like to read an Open letter to my daughter on her first day of homeschooling. It will give you a little perpsective on my thoughts about what to expect the first day. If anyone would like to contribute or add to this feel free. If there is a resource you feel helped you get started please leave a comment and let us all know about it. I haven't kept up with a lot of the newer getting started books. I'm busy trying to figure out what the end game is for my two oldest. I'll add to this list as other blogs and resources are recommended. And in all things keep in mind the verse of scripture. "Your children shall be taught of the Lord and great shall be the peace of them." If you remember that you can't mess them up too badly. Trust me. Christine Miller wrote a blog post about Advice to the New Homeschooler that some may find helpful. Heather at Sprittibee shares her early elementary materials. Courtship Connection is my favorite place for family and character materials. A to Z of Homeschooling is your one stop website for all things homeschool. Donna Young provides loads of printable resources and helpful links. No this post isn't giving you permission to go out and eat more donuts again. (Although I wouldn't object if you did.) This is about the Homeschool Carnival hosted at PHAT Mommy's Blog. Check it out. I've already hit a few of the links. Heather a Sprittibee is worth checking out if you are looking for Preschool and Kindergarten materials. Another of my favorite bloggers is Dana at Principled Discovery. She has a perspective on education and homeschooling that is always challenging and informative. And by the way, I would like to compliment Henry and Janine Cate on running such a wonderful carnival. They jumped into this "green" but are handling the details like seasoned pros. If you haven't been to their blog Why Homeschooling stop on over and say thanks. The schools are fretting over a "new breed" of parent. The educators call the children the Millenial Generation. - those who are born after 1982 and have overly involved parents. The parents of these children are those who seek to interact and get involved in their children's lives and education. The schools are bothered to the point that their goal has become to separate the children from their parents and "put parents in their place: Outside Class". line on especially intrusive parents. Never mind the modern breed of micromanaging schools and experts, that want to teach and monitor everything from our children's eating habits to their sexual habits. We're supposed to accept their intrusive control and believe they have the best interest of the child at heart. Educator and author Rosalind Wiseman calls parents who try to set the agenda for schools "queen bee moms" and "kingpin dads." What's ironic about Ms. Wiseman is that she is the co-founder of the Empower Program, a nonprofit organization dedicated to educating teenagers about violence. So it's alright for a complete stranger to fret over my children but I'm supposed to back off or be labeled a "Queen Bee". Sorry Ms. Wiseman you've got it all backwards. It is you and your social engineers who need to quit attempting to parent our nation's children and resenting the involvement of those whom God has entrusted to their care. It is the parents of this nation who need to collectively say to our nation's schools and the "experts" who want to raise them for us - BACK OFF! They are NOT your children! I hope parents will finally see that our nation's government schools are a conduit for social engineering meant to replace the parent with the state as the primary influence in children's lives. For those who have eyes to see and ears to hear let them understand before it's too late. I had a few people ask recently how we resolve conflicts in our home. I wrote a post last year called Help! There's a bully in my house that details how we taught our children to handle a disagreement. Here's a little to get you started. Every school has them. My home is no different. There are those children who seek to dominate others with their might. Other "bully's" are more subtle. They can't win on might so they use other methods to get their way. Either way it's chaos for all involved.Around here a disagreement would take place. Then the offended would usually come running to me with a cry of , "Mommy, Mommy he blah blah blah' This used to frustrate me. I felt like a fireman constantly running to the next explosion. As more children kept getting added to the family I could see quickly where this was headed. There must be a better way! This process hasn't made our home conflict free but it certainly has made it a more peaceful place without a lot of bitter feelings or fractured relationships. Our public schools are becoming a battle ground in the culture wars. The First Ammendment Institute along with Wayne Jacobsen have collaborated on a report to help solve this "crisis". For the process to work, school officials must be fair, honest brokers of a dialogue that involves all stakeholders. That means, first and foremost, that school leaders must refrain from choosing sides in the culture-war debate over homosexuality. If schools are going to find agreement on policies and practices that bring the community together, it won't be by taking a side and coercing others to accept it. School districts divided about how to handle issues concerning sexual orientation should take a step back from the debate and find agreement on First Amendment principles. Most Americans can agree that freedom of religion and speech are inherent rights for all. The schools are to be the arbitors for dialogue? Choosing not to take sides in the debate? When did it becomes the school's role to find agreement on policies and practicies that bring communities together? I thought they were supposed to teach reading, writing, an arithmetic. They can't even seem to do that well and yet we're supposed to trust them to try their hand at consensus building in our communities in other areas? Since when did the communities ascribe them that role? This debate and other similar ones are bound to happen in a society which forces a one size fits all educational system. Education is by it's nature a value system. It's not just facts and events to be memorized in isolation. It is ascribing value to those events. But whose values? What I consider right you may consider wrong. That is the built in dilemma of state run schools. There is no such thing as values neutral in education. Yet the state pretends to do exactly that. That's my own made up term for how I feel after attending a homeschool convention. I'm exhausted from a full day of walking, talking, looking, and considering all the things that are out there. I am energized as well. As much as I enjoy writing for this blog, I love getting out and interacting with other homeschoolers. It is invigorating and motivting to spend a day with others who have a passion and excitement for the same things. It makes you want to go home and well homeschool your kids! I had a lot of fun meeting a few fellow bloggers and readers. Jenna is just beginning her homeschool journey. I enjoyed reading her perspective on her first convention. Michelle flagged me down and we had a fun chat as well. I spent more money than I had planned. But that's what happens when you take your children with you to a convention. They battled the used sale like pros. And my girls were like kids in a candy shop at the Charlotte Mason book table. "Just one more book, please Mom?" "Sure, why not." They were also very patient to wait as I was stopped to answer questions and talk to many old friends I hadn't seen in a while. My daughter finally asked at one point, "Does everyone know you here mom?" Not quite, but I do enjoy the wonderful friendships that God has blessed me with. My workshop on Education Reform went well. Unfortunately, I ran out of time. (And I talk fast!) To my amazement many stayed around in the hall to listen to my conclusion. If you are here from my workshop or convention then let me welcome you to SpunkyHomeschool. For the many who asked, "What's a blog?" This is it. Take a look around. And if you feel comfortable leave me a note to tell me you stopped by. And I forgot to mention it in the workshop but the copy of The Old Schoolhouse you received has a an article with many of the things I discussed in my talk. The archives has a few links as well. If you need help finding something specific let me know. But right now, I'm going to the kitchen for a bowl of ice cream. It's the perfect ending to this fun day. I'll be at the Homeschooling Works curriculum fair all day today. My talk on Education Reform is at 1PM. I'm looking forward to getting out and seeing what's new in homeschooling. There's also a used curriculum fair but you have to wear shin guards and boxing gloves just to get what you want. I hope to get in there a little early. The only way to eat back the tide of education reform is for parents and students to stand up and say "NO". They don't even have to say no to public school. Although anyone reading here for very long knows why I think they should. They just need to say "NO" to the testing that is driving the reform. A small handful of informed people in every community who refuse to take the test will bring about true reform. Control of education will be taken out of the hands of the federal government and put back on the parents. That's going to require a little courage. There's some out there who have that kind of character. Here's a public school gal in Texas who said "no" to the test. Let's find out what happened. When Kimberly Marciniak first decided to take a stand against standardized testing by boycotting the Texas Assessment of Knowledge and Skills, critics afrom ll sides begged her to change her mind. Since public school students in Texas must pass the test to earn a high school diploma, teachers and guidance counselors worried the intelligent young girl was throwing away her chances for college. A guest on a local radio talk show said she'd made a "stupidly stubborn decision." Now Marciniak, 18, has the ultimate "I told you so." She has been accepted to her top three college choices and offered scholarships from each one. A senior at North East School of the Arts — a magnet program at Lee High School — Marciniak has a stellar academic record and spent last school year studying in New Zealand. Despite the advanced placement courses she's taken and the classes she's aced, Kimberly will count among the school's dropouts this year because of her refusal to take the TAKS test. "I think a lot of people thought when it actually came down to graduation requirements that I would eventually take the test," Marciniak said. "I always felt like if I was doing the right thing and I felt so strongly about it, then no matter what happened, I'd be OK."
Notice that because she didn't take the test she is considered a drop out. To the government educrats its all about testing. Despite the fact that she went K-12 she is considered a drop out because she didn't take a test? It's stories like this that make me skeptical of the growing "crisis" in the drop out rate. Who they label as a drop out affects those numbers. Homeschoolers who don't take the test could potentially be considered drop outs as well. But in any case I applaud this young lady for her determination to follow her convictions. Many tried to talk her out of her decision telling her that her future was at risk. I hope parents and students begin to see that the sky will not fall when they decide to take back the education of their children. In fact, for this young lady the opposite happened. "I was so thrilled not only to be accepted but also thrilled that in a sense I proved all those disbelievers wrong. My decision did not hurt my college application process like everyone feared," Marciniak said. "In fact I saw the exact opposite — the colleges I applied to looked on a principled boycott as a positive thing." So are others willing to put down their pencils and protest the test as well? A few years ago my children were acting up in a church service. They were silently arguing over a shared arm rest between the seats. Although no words were exchanged between them the argument was getting more heated. Our usual method for temporarily solving the issue in a situation like this is to instruct them to hold hands until we can resolve the matter later. So I gently tapped one of the children on the shoulder and told them to hold hands until the meeting was over. They knew I meant it. So they immediately clasped hands until the final song and closing prayer. The meeting finally finished and we were able to resolve the matter. Later that week I got a call from a friend. During the course of the conversation she complimented me on how well my children get along and how much they love each other. I thanked her for the compliment. Out of curiousity I asked what prompted her to say this now. She told me she saw the two children holding hands in church. And during the prayer time they seemed so bonded together. My pride wanted to let her go on believing my children were near perfection. But my laughter told her that she was way off. I recounted to her the real reason they were holding hands. She joined me in my laughter. We both realized that despite appearances, situations may not always be exactly what we first believe. It is always better in uncertain situations to wait and make sure that we have a complete picture and the complete truth is known before passing judgement favorable or unfavorable on a situation. Keep that in mind as you read the news and blogs today. No explanation necessary. Read here. Gena Suarez shares her perpsective on the reporting of the story here. I usually stay away from partisan political discourse but this is just too funny. 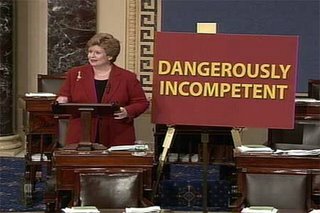 This is an actual photo of Michigan Senator Debbie Stabenow giving a speech on the floor of the US Senate this week. I called her office just to make sure. I wonder, is she referring to herself, all of Congress, or the staff that put the sign up behind her? Senator Stabenow is up for re-election in our very blue state. I bet I'll be seeing this photo a few more times. No I'm not turning my blog into an advice column. But I've gotten a fair number of email all asking the same questions in different ways so I thought I'd answer them here. I have linked to previous posts I have written in the answers. If anyone has anything to add, feel free to chime in. This approach turned out very well for us. Over ten years later the skeptical relatives have seen the value of our decision and are now a source of great encouragement. Negative questions about homeschooling can be turned around by asking questions back. One of my favorites to ask is, "What does it mean to educate a child well"? By asking the skeptic what "well educated" means to them, most usually see that the alternatives fail to do the very things that are important to them. That may not convince them of your decision but it will help bring them a little closer to thinking about the real issues and usually takes some of the pressure off. See my post. Why Do We Educate for more thoughts. I would encourage you not to make it a "me against them" discussion. Give them the ability to expresss their concerns and listen. Most of us love it when others listen to our opinions. (That's why blogging is so popular.) Take the time to listen to them. That doesn't mean you have to accept their advice every time. You can click here to read the rest. Also, education reform is something I have been following for over 10 years. Most people are unaware of how broad and sweeping these changes will be. I hope that by blogging about this topic I can learn more myself and make others aware of what's coming down the road. If any of my equally wise readers would like to jump in with their thoughts, please feel free. Public schools are what distinguish democracies from every other system in the world," and a country without strong public schools "lends itself to authoritarian thinking. ~ Said by a teacher to John Stossel at a public school rally. From time to time a mom will call and say that they've made the decision to homeschool. But they have questions about how or when's the best time to pull them out of school. If I don't already have an idea of why their pulling their children out of public school, I'll ask for a brief explanation. Most of the time it's because of some "final straw event" that brought them to the decision. My response is usually to pull them out immediately unless there is a compelling reason to keep them enrolled. If you knew a building had carbon monoxide gas slowly leaking into the rooms would you wait until the children are unconscious before getting them out? No, you'd want to get them out as quickly as possible to blunt any long term effects of the gas. While this is a little dramatic, I think the same mindset is needed here. If you wait and deliberate you might end up talking yourself out of it. It's a little scary to just pull them out without a complete understanding of what's ahead. But in this case standing still is better than moving in the wrong direction. And even those of us who have homeschooled the whole time don't have a complete understanding of what's ahead. Don't let our confidence fool you. We're confident about our decision but we can get a little anxious at times as well. 1. Know the requirements in your state for homeschooling. Not all states are the same. 2. Make sure you give both you and your child a time to adjust to the new arrangement. Your child isn't used to thinking of you in the academic role of "teacher". Give your relationship time to develop. 3. Don't make promises about how fun it's going to be. There will be fun days. But they won't all be a picnic in the park. Don't build up unrealistic expectations. 4. Find a supporter to encourage your family. Someone who will be available to remind you of your reasons to homeschool when the difficult days come. 5. Don't rush into a lot of expensive purchases. Start with a few basics things and build from there. As you and your child learn how to learn together the right choices will become more obvious. 6. Set realistic goals. Homeschoolers can be an intimidating bunch. Seeing the success of other homeschool families can cause a great deal of insecurity. Don't fall into the trap of comparing yourself to other families. Since I"ve never pulled my children out of school these are things I've learned from friends who have. I'd love to hear from those who have. And the tips that they would recommend. I have to agree with Shay here on one aspect of the pulling out process. Authority figures can be difficult to confront. Most of us were taught for so many years to respect and not question school officials. To go into an office and tell an "expert" in education what you're plans are can be intimidating. But overcoming that fear is a part of the process for the parent in taking control of the education process. Once accomplished, the hurdles of curriculum choice and home management seem so much easier to deal with. Kentucky has just joined a small but growing list of states mandating the ACT be taken in eleventh grade. Michigan passed similar legislation in December of '04. As more states continue to adopt the ACT as a requirement for graduation (paid for with tax dollars) we will have a vehicle to usher in a national test. It's going to happen. When it happens remember you read it here first. If you live in Virginia I'd be calling my legislator asking for support in an effort to drop the college requirement for home educators. Definitely a step forward. Edwonk has the Carnival of Education up. Last week I had the privilege of writing an article for the Spring issue of The Old Schoolhouse on Missey Gray. As part of the assignment I talked with her husband Tom. I was nervous. How do you ask a man to share about his wife so soon after her passing. Any apprehension vanished as I listened to this quiet man with a southern drawl share about his wife. The conversation was truly inspiring. He shared stories and tidbits that made me laugh and cry. The most memorable statement came as he shared about Missey's devotion to him and the home. He acknowledged all of the talk today about how women need to be equal to men. 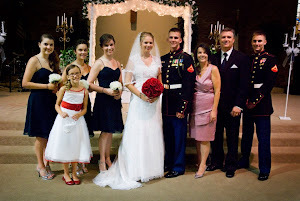 Missey chose to reject the foolishness of feminism for the joy of marriage and family. Tom reciprocated with an increasing measure of love and devotion. He admitted, "
The more she practiced biblical submission, the more she became my equal. Let the feminists rage. Their rantings are no match for a marriage or home built on the foundation of Christ's love. Heads up: Don't miss this week's Homeschooling Carnival at the Common Room. The School to Work initiative System will rpovide all students with the opportunity to engage in a program of job training and work experience that are relevant to a student's career major and lead to the award of a skill certificate, including pre-employment and employment skills to be mastered at progressively higher levels. Students will be encouraged to make a career decision by the tenth grade and no later than the eleventh grade. The decision will be based on an entire school experience, kindergarten through grade ten,"
By 1998 all 50 states had implementation strategies in place. While federal funding of School to Work may have ended a few years ago, the plan to implement a national "school to work" type plan is still going strong. Up until now I haven't been able to find many politicians or educrats willing to admit that this is still the long term plan. That is until today. I stumbled upon this article about the proposed changes in Forida's education. Gov. Jeb Bush's proposal to dramatically overhaul Florida's education system would give him a much stronger hand in turning around struggling schools, force educators to rethink their priorities for fine arts and physical education and require middle-schoolers to pick college-like majors. I can't imagine any eighth grader being ready to pick a "college-like major". I went to the Governor's own website announcing the A++ Plan for Education. The bill concentrates heavily on middle and high school reforms. Offering students the opportunity to graduate with a major or minor area of study - just as college students do - in the arts, advanced studies or career preparation, after completing a rigorous core curriculum. I will have to do some digging to see what the actual language says. And I am sure there will be a debate over the finer points of the bill such as including arts and physical education but most will completely miss the larger picture. The law of supply and demand with your child as the resource. This may be a winning proposition for business but what about the children? Oh, that's right they're a workforce now. In Florida they call the plan "Ready to Work". Real creative. Switch the name and maybe no one will know. The remaining nine required credits can be taken in a major or minor program chosen by the student, such as math, science, fine arts, or career and vocational skills. Students who can see the relationship between their classes and their dreams are more likely to stay focused, and stay in school. Our "Ready to Work" certification program will give vocational students the credentials that tell employers they're ready for the work force and have the skills required to succeed. This will all lead to certificates of mastery (CIM). The CIM will be necessary for further advancement in education, training, or a job. It's funny. When I first began researching this years ago, I called various newspaper editors and education columnists to tell them what coming down the road. The ones that didn't just hang up scoffed, saying I was out of my mind and that the American public would never stand for it. They were wrong on both counts. I'm working on a talk on Education Reform for next Saturday. While doing some research I came upon this excellent article by Lynn Stuter Homeschools, Private Schools, and System Education. This is a must read for every homeschooler. It outlines in a very readable way the over all goal of our current education reforms and why homeschoolers need to be on guard. Remember that under systems education, all really does mean all. The system must include everyone. To that end, homeschoolers must be drawn back into the system. This is to be accomplished in one of two ways: 1) offer the homeschoolers incentives (carrots) sufficient enough to encourage them back into the system whether they know they are back in the system or not; 2) force the homeschoolers back into the system. The first way is obvious, offer free virtual academies that appear to be free from government intrustion, (ie. K12 Virtual Academy) and/or tie testing to scholarship money. The second way is to link something desirable (like a drivers license) with state mandated testing. That is suggested nearly every year by someone in our state. Stacy Harbour-Van Hoy, a teacher at Dimmitt Middle School in the Renton School District, says the pressure of the test narrows her instruction, at least until after the tests are over. If it's not aligned with the standards and getting them ready to take that test, it gets tossed," Harbour-Van Hoy said. "I pull out the stuff I really want to do after the test." Teaching to the test is a tempation no matter where the learning happens. Government mandated tests, test what the government wants taught. Their goals are not my goals. Homeschoolers need to keep on top of what's going on nationally in education reform. Of course, you can always come to Detroit and hear my talk. But if that's not possible, this article will help get you up to speed without the expense. The Money Camp began as an inspiration by Elisabeth Donati when she read Robert Kiyosaki's book, "Rich Dad, Poor Dad". We then look at how to classify 'how' you make or earn your money based on Robert Kiyosaki's Cash Flow Quadrant. My husband just finished a three part series critiquing the book Rich Dad Poor Dad. Many (but not all) homeschool seminars on entrepreneurship are based heavily on his teaching. (Co-author Sharon Lechter teaches at quite a few.) It looks like Money Camp may be the latest to join the mix. It's too bad. There is a real need out there for good teaching on this subject. However, Kiyosaki isn't a man I would look to in teaching my children about money or anything else for that matter. In another post, "Too Good to be true?" Steve has also outlined key questions to help you discern the claims of seminar speakers and others before paying to listen to them or buying their expensive materials. Every parent wants their children to know about money and the goal of starting your own business is great. But some are just attempting to cash in on the lucrative homeschool curriculum market while offering little of substance. (Makes you wonder how good their investment strategies really are.) Buyer beware. All that glitters is not gold. Homeschooling Sweet Homeschooling is an excellent essay written by a college student at Oregon State University for Townhall. The author, Nathanael Blake, explains why he is determined more than ever to homeschool when he has children. Why do we even assume that modern schools are a healthy way to socialize a child and set a standard homeschooling must match? The socialization of our school system is profoundly anti-social. Edmund Burke wrote of civilization as a partnership "between those who are living, those who are dead, and those who are to be born." In the schools, society doesn't even consist of the various generations of the living. internet. Spending at least 35 hours a week, nine months of the year, with 20-30 kids of one's own age (with a harried adult supervising) is the antithesis of what is needed in order to learn how to function in society. Speaking of teachers,, Stop the ACLU informs us that Jay Bennish gets to keep his job even after his leftist tirade in the classroom. Proving once again that from the state's perspective education and indoctrination are the same thing. But let's not end this post on a sour note. Here's a video put together by Hannah at Beauty from the Heart. My son wrote the music and played the piano. Very inspirational! Chicago Public Schools require blind students to take drivers education in order to graduate from high school. junior said she went to school feeling ill because she was worried about flunking the class if she missed more than three days. And she only passed because one of her special education teachers translated some material into Braille. "Why should we have to memorize how a street sign looks when we are never going to see them while driving?" The blind students can see the ridiculousness of such requirement. What's amazing is some school officials don't see a problem at all! And these are the people we're trusting to reform our educational system? Honestly, most of us wouldn't loan our car to these same people without knowing more about them? Then why does anyone trust them with their child? "Some had high grades and were just bored out of their minds," They found no connection between the classroom and life and their career aspirations." The report recommends federal, state and local efforts to offer students school options, engage parents and create early-warning systems for at-risk youths. It also calls for more accurate tracking of dropouts and consideration of raising the legal dropout age to 18. Most states sets the compulsory school attendance age at 16 or 17. In fact, these kids cite too much freedom, which surprised us," Bridgeland said. "They get to high school and all of a sudden under state law they're permitted to drop out, many of the kids know that. They want more order and rules and expectations." Translation: We can't handle ourselves so please take away more of our freedom. Music to the state's ears. The survey was commissioned by the Bill and Melinda Gates Foundation. Phyllis Shafly of the Eagle Forum has been doing an excellent job detailing the UN / Gates motives. No, this isn't a question about what kind of peanut butter you want on your sandwich. This is much more serious. Or at least to some people it is. The question of who is a crunchy has floated around the blogosphere and on many homeschool blogs in recent days. Buried Treasure had a little write up and Dominion Family adds her thoughts.. It all centers around the new book by Rod Dreher Crunchy Cons. He blogs over at National Review. Town Hall ran another article on the topic here. Here's what a crunchy conservative or "crunchy con" is in a nutsehll. [A] a group that includes, among others, "hip homeschooling mamas," "Birkenstocked Burkeans," "gun-loving organic" farmers, and "right-wing nature lovers." What Dreher, a Dallas Morning News columnist, means by "crunchy conservative" is someone who rejects the "consumerist and individualistic mainstream of American life." This rejection distinguishes their worldview from that of mainstream liberalism or conservatism, which, in Dreher's estimation, are both "essentially materialist ideologies." This emphasis on family and instilling character is why many crunchy cons homeschool. As a Manhattan mother of five told Dreher, homeschooling shows her kids that their well-being is what's most important. Instead of working to give them more "stuff," she gave them more time instead. I hope I don't step on anyone's toes with my loafers, but I don't wear Birkenstocks. I resist those with a passion. In my college days, Birkenstocks were worn by those that majored in things like "womens studies". I just can't seem to break the association. We don't eat organic either. Sure, I'd love to eat healthier but to do so economically for a family my size I'd have to be a farmer. Which by the way we're not. And we won't be. So that shoots down another one of the characteristics of being a crunchy- the homesteading agrarian lifestyle. I have quite a few friends who are living on greener acres. God bless 'em. Grind away. But they'll be the first to tell you I'm a city girl through and through. It's in my DNA. You'll never find dirt underneath these nails. Somewhere in birthing six children I gave up the notion of individualism too. What wasn't destroyed in pregnancy went out the door in labor and delivery. We do reject the consumerism of today's lifestyle. But that comes as much by default as by choice. We're too busy buying Wonder Bread and disposable diapers to afford most of the new toys out on the market. But in general I try not to make too big a deal out of our lifestyle choices. The tendency is to think too much about the lifestyle and miss the LIFE. That can happen as easily on the farm as in the city. My advice, leave the labels to the peanut butter makers and live the life of a believer. Bloom where HE plants you.